This harmonious ensemble of 15 strings (6 violins, 4 violas, 3 cellos and 2 double basses) covers nearly the entire spectrum of string chamber literature. 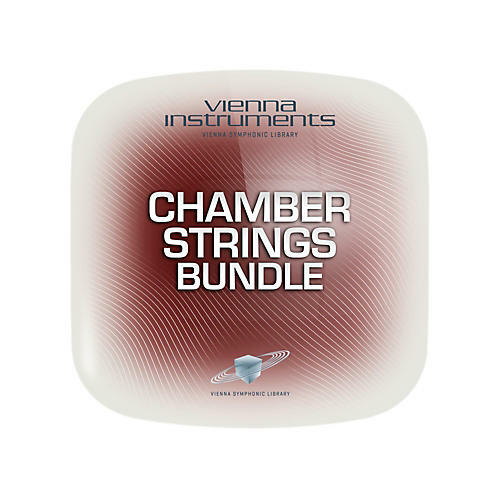 Many composers use the CHAMBER STRINGS for larger orchestrations as well, doubling melody lines to enhance the string sound with more variety and expression. CHAMBER STRINGS I contains all imaginable articulations, including snap pizzicatos, glissandos and artificial harmonics. CHAMBER STRINGS II offers most of the articulations of CHAMBER STRINGS I as muted versions (con sordino). This is the Extended Set (54,496 samples) and requires previous installation of the Standard Set.